Item # 313179 Stash Points: 6,195 (?) This is the number of points you get in The Zumiez Stash for purchasing this item. Stash points are redeemable for exclusive rewards only available to Zumiez Stash members. To redeem your points check out the rewards catalog on thestash.zumiez.com. 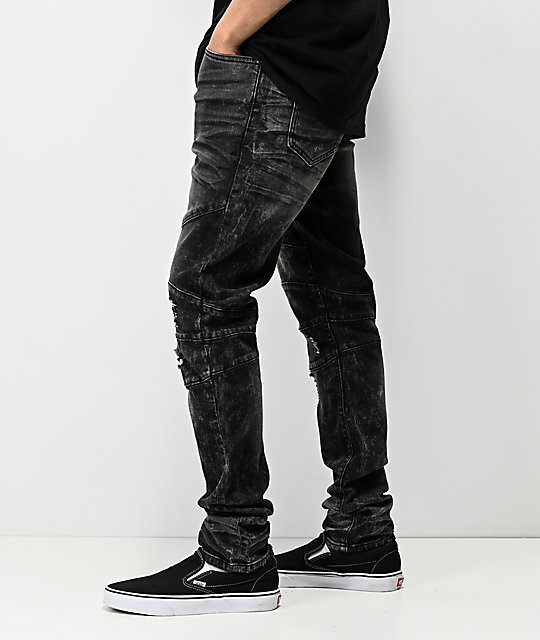 Get a pair of your new go-to pants with the Crysp Montana Washed Black Jeans. These all black, slim fit jeans feature a flattering and straight legged silhouette while mild fading throughout creates a depth of color. 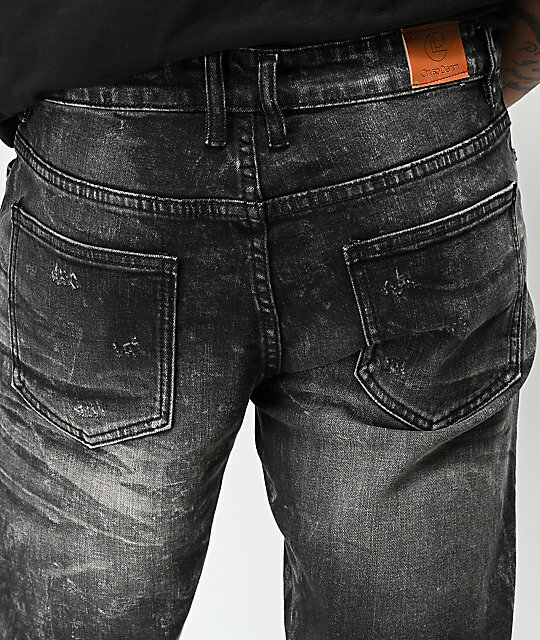 Finished with a classic five pocket configuration for storage and added panels and extra distressing at the knees, these jeans are a worthy addition to any fashion forward wardrobe. 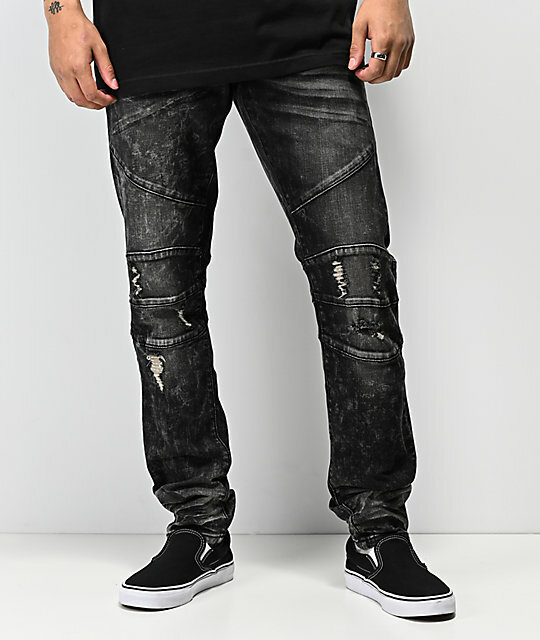 Montana Washed Black Jeans by Crysp Denim. 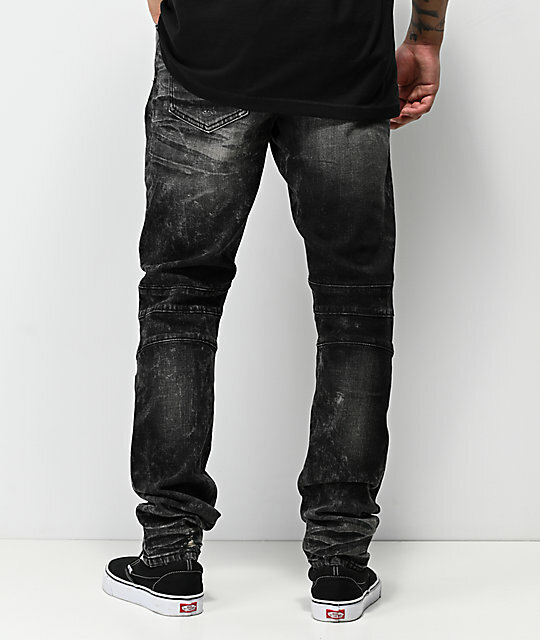 Slight fading and distressed details throughout. Extra panels and distressing at knees. Machine or hand wash cold inside out, line dry.